This website receives compensation for the products and services it reviews and recommends. We are independently owned and the opinions and recommendations we make on this site are our own. 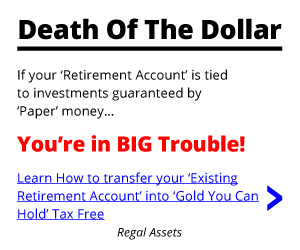 Affiliate Disclosure: As a Regal Asset affiliate, I will be compensated a small commission if you make a purchase through one of my affiliate links through this website.